There are many reasons you might want to upgrade your engagement ring. 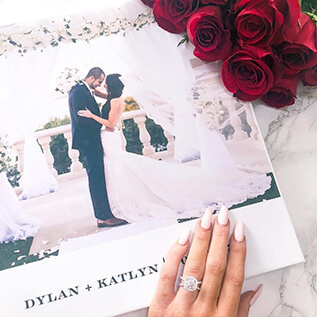 Maybe you’re tired of your old engagement ring’s style, or maybe you now have the means to get the nicer ring you’ve always dreamed of. While there are many excellent reasons to upgrade your ring, actually doing so can sometimes be tricky. Some people are worried about bringing up the idea to their partner. Others may want to keep the sentimental value of their ring but aren’t sure how to achieve that while still getting an upgrade they love. If you’re thinking of upgrading your ring, don’t worry. It may seem like a difficult process, but there are steps you can take to ensure you have a simple and fun upgrade experience. Keep reading to see our full guide on what to do when you want to upgrade your ring, where we’ll help guide you through each step of the sometimes tricky upgrade process. The first thing you should do when considering upgrading your ring is to check in with your partner. While some people may not care at all about a ring upgrade, others might be a little sensitive at the thought of it. Remember, your engagement ring may special to your partner as well, especially if they picked it out on their own. So, let your partner know about wanting to upgrade and be sure to fully understand why you want to upgrade before bringing it up in conversation. Also, remember to tell your partner that you love the ring they proposed with, but that you’re just ready for a change. Telling your partner is important not only because it shows you’re considering their feelings, but also because it opens up the door to shopping for a ring together. 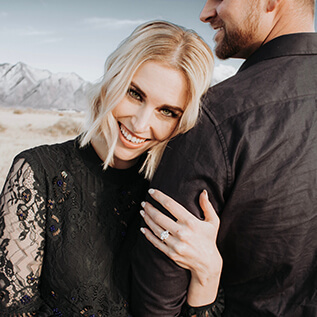 Engagement ring shopping as a couple is a lot of fun and a great way to deepen your marital bond. One of the main reasons people decide to switch up their engagement ring is that they no longer like the style of their original ring. If you do like the style of your original ring but just want a bigger stone, then upgrading your ring will be a very simple process. Just have the best gemstone you can afford put in your original setting. However, for those upgrading for style reasons, a little more thought may be needed. Consider: what is it that you no longer like about your original ring? Do you want a more glamorous, minimal, or classic engagement ring? 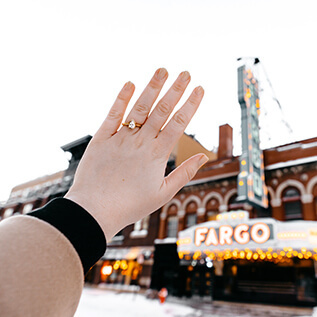 Survey your options and hone in on the style you love most so you’ll be sure your second ring will be one you’ll adore. For some people, the sentimental value of their original ring is something they want to keep. This may be your goal or possibly your partners, but either way that’s something you can definitely achieve when upgrading a ring. Consider what’s sentimental about your ring. Is the center stone a family heirloom? Or perhaps you just want to be sure you keep some part of the original ring because it brings you joy? Most sentimental considerations can be worked with when upgrading a ring, especially if you end up deciding to have something custom made. Maybe you can have a treasured diamond put in a new setting or maybe you can have your original setting reshaped into a new style. 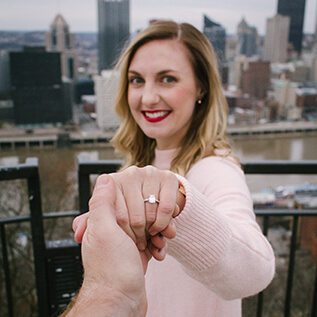 If you get creative and have an open mind, you’ll find that there are many ways to incorporate some sentimental elements into your new, upgraded ring. Whether you’re getting a brand new ring or keeping some elements of your old ring, you should get your original ring appraised by a reputable buyer. That way, you can sell your old ring (or just the parts you won’t be using in your new ring) for the best price and put that money toward your new ring’s budget. Fully understanding your budget is important when buying an engagement ring, whether it’s a first engagement ring or an upgrade. Knowing your budget will allow you to prioritize what’s important to you and understand what’s available within your price range. If you’re working with a smaller budget for your upgrade, consider keeping your center stone and just switching out your setting. Center stones like diamonds are generally much more expensive than ring settings, even diamond set ones. By choosing to switch out your setting and keep your original center stone, you can dramatically change the look of your ring at a much lower cost. For most people, there’s no hard end date they need to hit when upgrading a ring. Unlike with your original ring, there are no proposal or wedding deadlines looming, so take advantage of that freedom and take your time when choosing your upgrade. 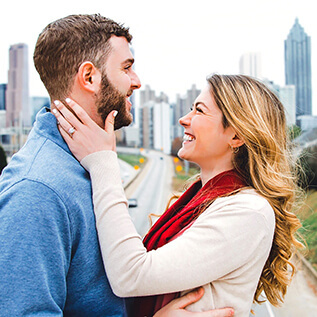 When you take your time during the upgrade process, you can get a better look at all your options, which will allow you to carefully choose an upgraded ring that you absolutely love.